Be the first to share your favorite memory, photo or story of David. This memorial page is dedicated for family, friends and future generations to celebrate the life of their loved one. 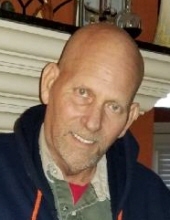 David Brian Perkins, 60, passed away March 25, 2019 in Houston, Texas. David was born on January 20, 1959 to parents Robert and Gloria Perkins in Kingsville, Texas. He married the love of his life, Chrystal, on August 21, 2003 and they enjoyed many years together. David was a superintendent at Glex, Inc where he worked for 35 years. During that time, he developed some of his most treasured friendships. He was an avid golfer, often found on the golf course before the sun rose. While his golf partners rode in golf carts, David insisted on carrying his clubs all 18 holes. He also enjoyed barbequing, especially ribs, spending time on the beach, and gambling, where he was always a winner. David was a dedicated husband, son, brother and friend. He is preceded in death by his parents and is lovingly survived by his wife of 16 years, Chrystal Perkins; step-son, Matthew Dent; granddaughter, Alyssa Dent; brother and sisters, Jesse Perkins and wife Carla, Terri O’Brien and husband Mike, Donna Rother and husband Reggie, Laura Carrion and husband Roland; as well as numerous nieces, nephews, extended family members and many friends. Friends are welcome to join the family for visitation from 6:00 to 8:00 p.m. on Wednesday, March 27, 2019. Funeral services officiated by his cousin, Ken Jamison, will be held at 10:00 a.m. Thursday, March 28th in the chapel of Carter-Conley Funeral Home. Graveside services will immediately follow at San Jacinto Memorial Park under the direction of Carter-Conley Funeral Home. To send flowers or a remembrance gift to the family of David Brian Perkins, please visit our Tribute Store. "Email Address" would like to share the life celebration of David Brian Perkins. Click on the "link" to go to share a favorite memory or leave a condolence message for the family.